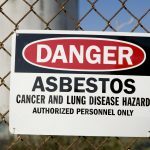 By court order, a former power station worker is expected to be paid $327,000 in compensation for asbestos exposure which resulted in Mesothelioma. Allan Geyer is dying from the asbestos-caused disease after being exposed to the deadly substance at the Electricity Trust of South Australia (now Resi Corporation). He was was employed by the power station for over 30 years as a welder and boiler maker. The District Court found ETSA was cognasant of the danger and are therefore liable for exemplary damages under the state’s Dust Diseases Act. Annie Hoffman, Geyer’s solicitor stated that the man was relieved to have reached a result from the case. “Mr Geyer was actually starting chemotherapy treatment the day that we received the judgment, so he was quite emotional when I gave him the call to tell him that he’d won the case against ETSA,” she said. 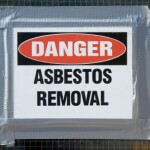 The award of $327,000 included $20,000 in exemplary damages, a provision allowed under the Act when a plaintiff can prove there was a known risk of exposure to asbestos. Terry Miller of the Asbestos Victims Association embraced the judgement. 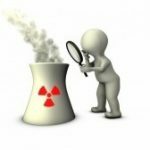 “Many thousands of ETSA employees up until the 1990s were exposed to asbestos dust in power stations around the state,” he said. “This decision shows that ETSA knew of the dangers of exposure to asbestos and did not tell or protect its workers. Recently WorkSafe undertook a risk assessment the buildings “flaking” asbestos roof. Veteran cinema operator Cyril Watson and his lawyer had reportedly sent a letter to the agents for the landlord pleading for urgent attention to waterproof the roof and “safeguard and suppress the asbestos materials used in the roof”. The matters had been discussed early in a face-to-face meeting last November. Worksafe inspectors recently visited the cinema and ordered 14 improvement notices. One of the improvement notice called the the cinema out for breaching Occupational Safety and Health Regulations by failing to have an asbestos register. Watson has been until August 9 to conduct an identification and risk assessment on the asbestos and to record all data at an onsite register. 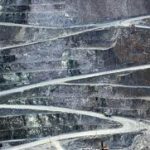 But WA Asbestos Diseases Society president Robert Vojakovic called on the health department for urgent attention and to investigate the issues in order to ease the minds of patrons and workers alike. A Worksafe spokeswoman said inspectors didn’t see any cause for concern on the inside of the cinema because the asbestos roof is on the outside of the building. Asbestos removal has commenced at the Australian Institute of Sport Aquatic Centre even though the country’s elite swimmer’s continue to use the centre. Renovations on the almost thirty-year old building have been ongoing for approximately a month and are expected to continue until the end of the month. The national swimming team has been centre since Sunday for orientation camp, forcing them to walk past the construction site on the way to training. Tests are conducted on a daily basis to ensure that the particles are not air-borne around the worksite, and barriers and signs are in place to warn passersby of the potential dangers. 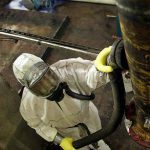 Comcare gave the ‘go ahead’ on the asbestos removal after examining the project. 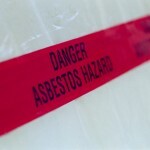 The asbestos will be removed from outside the building and replaced with compressed fibro. 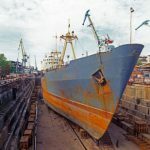 A spokesman for the ASC described the asbestos as ”low-risk” and said all the required steps had been followed to ensure its safe removal. ■ An ACT-certified asbestos remover being retained to advise on and remove the bonded asbestos sheeting from the site. ■ Comcare approving the project approach and removal of asbestos. ■ An independent organisation conducting daily tests throughout the removal period to verify that no particulate asbestos are found in the air around the worksite. ■ The ASC occupational health and safety adviser being informed and agreeing to the process proposed and remaining on call should any OH&S issues arise. The AIS pool will be closed to the public from May 19 to June 7 for maintenance work. Between 30 and 40 thousand Australians are expected to die from asbestos-related diseases in the next two decades, a Senate inquiry has heard. 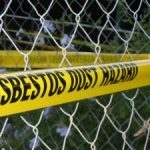 The Inquiry into the Asbestos Safety and Eradication Agency Bill included evidence from Hobart with a vast range of groups who have experienced the deadly building material. According to David Clement from Asbestoswise, the age of mesothelioma patients is dropping — meaning patients are becoming younger. Clement has attributed this to the growing number of young people who are carrying out home renovations. 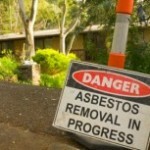 Despite widespread ignorance among DIY renovators about the risks, most efforts to increase asbestos awareness for DIY home renovations have all but failed. “The story we have with home renovations shows is that we have been banging on their doors for years trying to get on,” Mr Clement said. 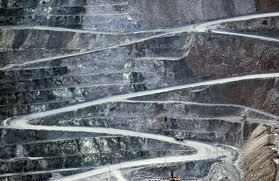 Simon Crocker, from Asbestos Free Tasmania, said about 12 people a year in the state died from asbestos-related disease. “We have a poison in our community that’s killing people and it’s going to keep on killing people until we do something,” Mr Crocker said. He said it should be a legal requirement that sellers disclose whether homes contain asbestos. 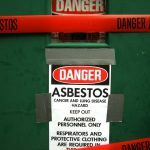 “We believe that if somebody knows they have asbestos in the house then they should disclose that at the point of sale,” he said. SafeWork SA has been charged with the task of immediately cleaning up an abandoned asbestos dump site in Wingfield. 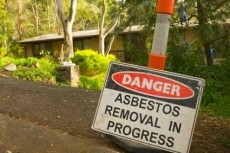 Unions brought the site to the attention of the authorities after the All State Group went into administration which left asbestos sheeting and insulation exposed.CFMEU secretary Martin O’Malley said despite the company’s licensed ability to remove the asbestos, it first had to be monitored by Safe Work . WorkSafe will have to determine if the harmful substance was sealed in airtight bags or containers. O’Malley maintains that the site was littered with asbestos materials as well as other building matter.He continued by stating that members of the asbestos removal business that existed there were exposed to asbestos and residents living the wider community may have been exposed to deadly asbestos dust. SafeWork has spent a significant amount of time at the site where they commenced the investigation immediately after The Advertiser informed them of the dangerous substance’s existence in the area. O’Malley said Safe Work SA has to justify a 4m- high pile of asbestos ridden matter for over a year that was left unattended for a year. BRI Ferrier, the appointed liquidator yet to commented on the status of the asbestos dump site. 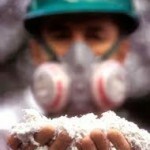 Asbestos death toll underestimated. 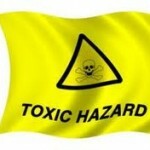 Asbestos Training Courses can help! 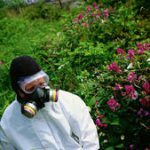 Nearly half (47%) of homeowners who do DIY in their properties do not realise that asbestos was used as a building material in homes as recently as the 1990s, according to a survey carried out by the British Lung Foundation (BLF).